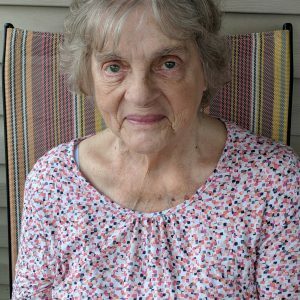 Betty Louise Stemm, 87, of Zanesville, passed away February 6, 2019 at Genesis Morrison House, surrounded by family. She was born August 16, 1931 in Ironspot, OH, daughter of the late, Grover Cleveland Dunkle and Zola Belle Hiles Dunkle. She is survived by her sons, Michael (Angie) Stemm, Kevin Stemm; daughters, Cheryl (Victor) Howe, Pam (Ken) Hildebrand, Kim Lynum; sister Bonnie Jean Ralph; several grandchildren, great-grandchildren and great-great-grandchildren. In addition to her parents, she was preceded in death by her husband of fifty-five years, Richard H. Stemm, Sr.; sons, Daryl Mautz, Richard “Butch” Stemm, Jr.; brothers, Rev. Franklin Dunkle, Wayne Dunkle, Lyle Dunkle, Charles Dunkle, Stanley Dunkle; sisters, Mary Wisecarver, Leanna Emiley, Edna McCormick; grandchildren, Stacie Lynn Berry, Richard Shane Stemm and Anthony Max Stemm. Calling hours will be held 2:00 PM to 4:00 PM and 6:00 PM to 8:00 PM Monday, February 11, 2019 at DeLong-Baker & Lanning Funeral Home, where services will take place at 1:00 PM Tuesday, February 12, 2019 with Chaplain Tim Patton officiating. Burial will follow at Zanesville Memorial Park.